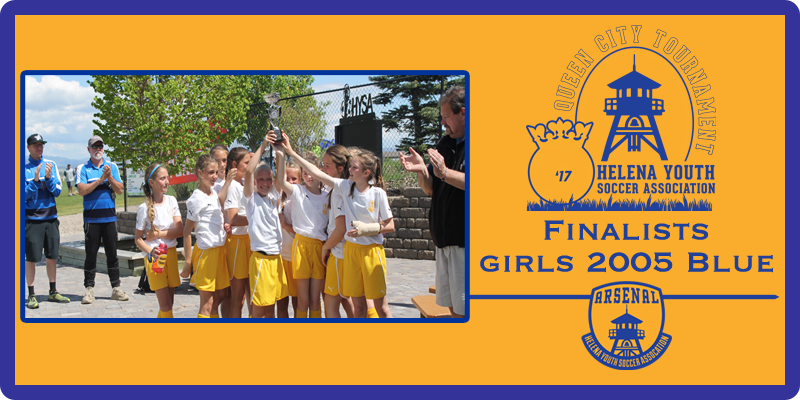 Arsenal Girls 2005 Blue team coached by Sean Lawlor and Jamul Hahn, racked up a scoring differential of 14-4 in the Queen City Tournament and ended up as finalists in the U12 A division after a hard fought championship match vs. Flathead Force. 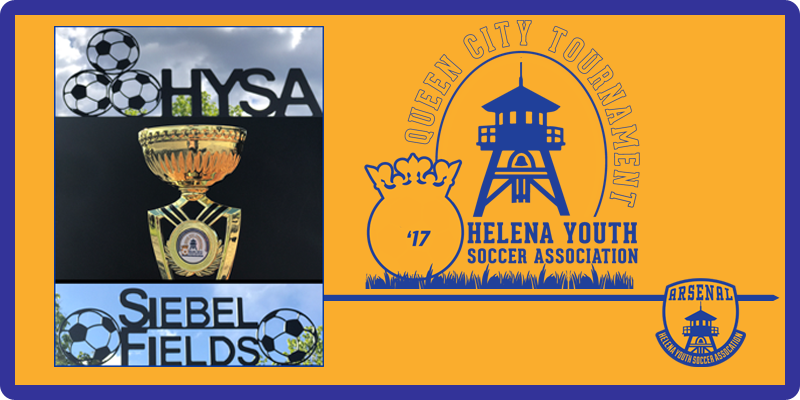 Paving their path to the title game, Helena defeated Magic City White (4-1), Flathead Force (2-1), and FC Missoula (7-0). 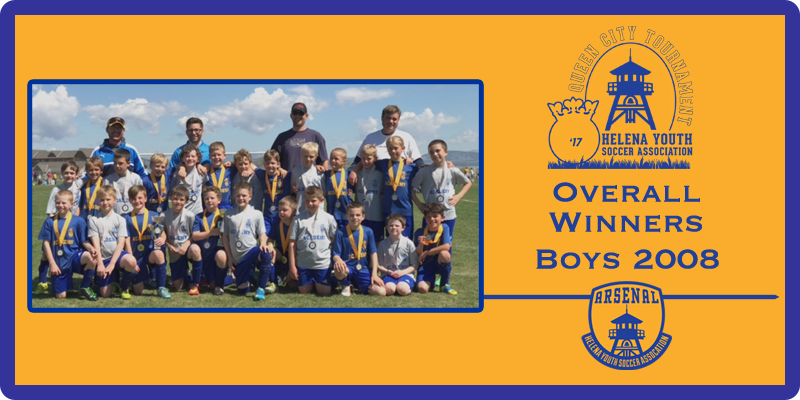 Although they played a strong offensive game in the championship vastly outshooting their opponent, they were thwarted by the crossbar and posts numerous times and fell to Flathead (1-2) in the closing minutes of overtime. A blazing offensive effort was exhibited throughout the weekend by Madi Todorovich (5 goals/assist), Logan Todorovich (2 goals/assist), and Avery Kraft (2 goals/assist). Demonstrating heads-up passing and quality field vision were Astri Hahn (2 assists), Morgan Hayes, Lauren Hoxie and Isabelle Linder. Providing tireless support covering end line to end line were Tess Lawlor (5 goals/assist) and Josie Esponda (assist). Defensively Sydney Emmons and Brooklyn Brisko were successful in frustrating offensive threats and Celi Chapman and Morgan Kaufman shared the majority of the goal keeping duties, making numerous crucial saves throughout the weekend. The team carries a 13-4 record for the season and will enjoy a well-deserved weekend off over Memorial Day.